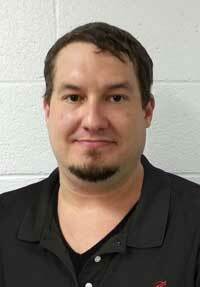 We are pleased to announce that Billy Harlow Jr. has been named Supervisor, Pultrusion in Bristol. Billy will report to the Manager, Manufacturing Operations and will be responsible for supervision of Crew #2. Billy began his career with Strongwell in 1997 as a Pultrusion operator at The Highlands Facility. He was promoted to Supervisor, Pultrusion in January, 2012. Billy resides in Bristol, TN with his wife, Wendy. They have 2 daughters, Cloe and Abbigail. He enjoys NY Yankees baseball, Florida State football, and spending time with family. Please join us in congratulating and supporting Billy in his new position at the Bristol Facility.